Jason Molina was a great, largely unsung, singer-songwriter from Ohio, who released a multitude of albums between 1996 and 2009. The music he made as Songs: Ohia, Magnolia Electric Co., and under his own name deeply connected to and influenced listeners throughout the world. 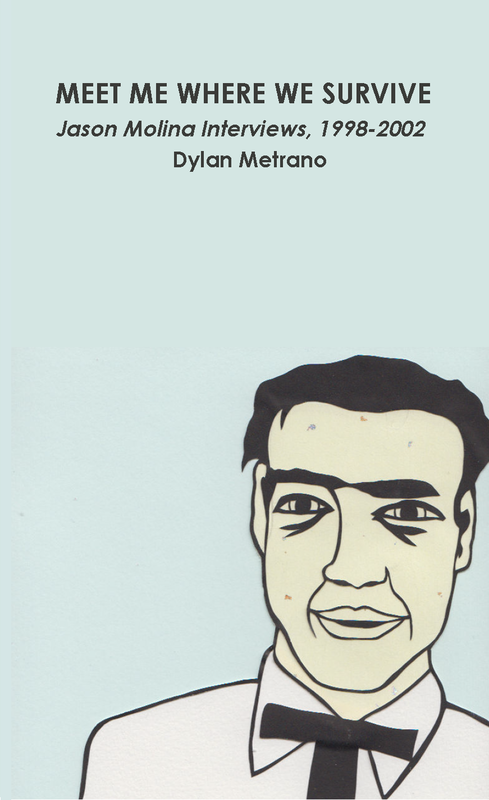 Meet Me Where We Survive is a collection of three interviews that Dylan Metrano did with Jason Molina between 1998 and 2002. The interviews are long out of print, and are collected here for the first time. This book is illustrated with Metrano’s original cut-paper portraits of Molina.